We are excited to announce a new partnership that will improve your experience when ordering pH Miracle products. As of June 4, 2014, all product orders are now being processed through our new partner, PHM Life. PHM Life is led by long-time advocates for the pH Miracle brand and its effective products. They are committed to making your product ordering as smooth and effortless as possible. We hope you’ll pay them a visit today at phmlife.com. And from here-on-out you’ll be redirected to phmlife.com whenever you visit us at phmiracleliving.com and add products to your cart. You are some of the greatest and most loyal friends and customers anyone could ask for. Thank you for sticking with us even during the twists and turns we’ve experienced over the past several months. 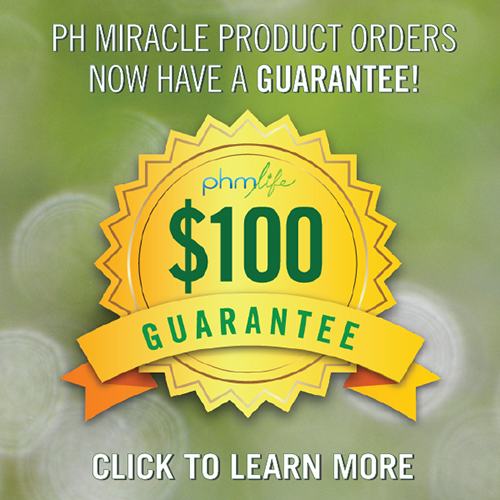 If you have a wholesale account with pH Miracle, you will still contact 760-751-8321. Here’s to a great new partner, a bright future and to your optimal health! Click Here to: Visit PHM Life Now! © Copyright 2014 - pH Miracle, Inc.